Over the summer, we thought it would be fun to run some of the most popular posts from the past. Journaling in math class has become quite popular. 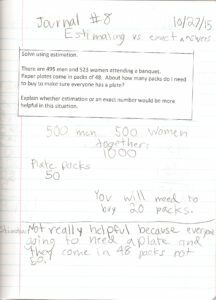 We’d love to hear your successes or challenges with math journals! Singapore’s Ministry of Education would tell you that there’s nothing Singaporean about Singapore math. When developing their highly successful math curriculum, they took theory and ideas from mathematicians and educational theorists around the world and put them into action. What should a math journal look like? I have attended many workshops and make-and-take sessions on planning and preparing for student math journals. Many have focused on setting up the student journal with a contents page and tabs to divide the journal into “notes,” “vocabulary” and “practice problem” sections. While this will create a journal that looks really nice, what I have found to be most effective (and one that I actually use in the classroom) is taking a simple composition or spiral bound notebook and beginning on the first page. Students make their first journal entry of the school year on page one and continue with entries on subsequent pages. Less is more! The journal entry number just grows as the year progresses. We might come up with the title as a class, or students can create their own. 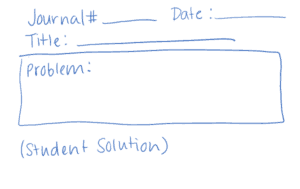 The problem in the problem box can be copied by students or printed out for students to paste in their journals. What should students put into journals? There are four basic types of journal entries; investigative, descriptive, evaluative and creative. Investigative: Students explore a new concept, solve a problem and make connections to prior learning. Example: Three friends share a sleeve of cookies. Each sleeve holds 32 cookies. If each friend eats ¼ of the sleeve, how many cookies do they eat altogether? 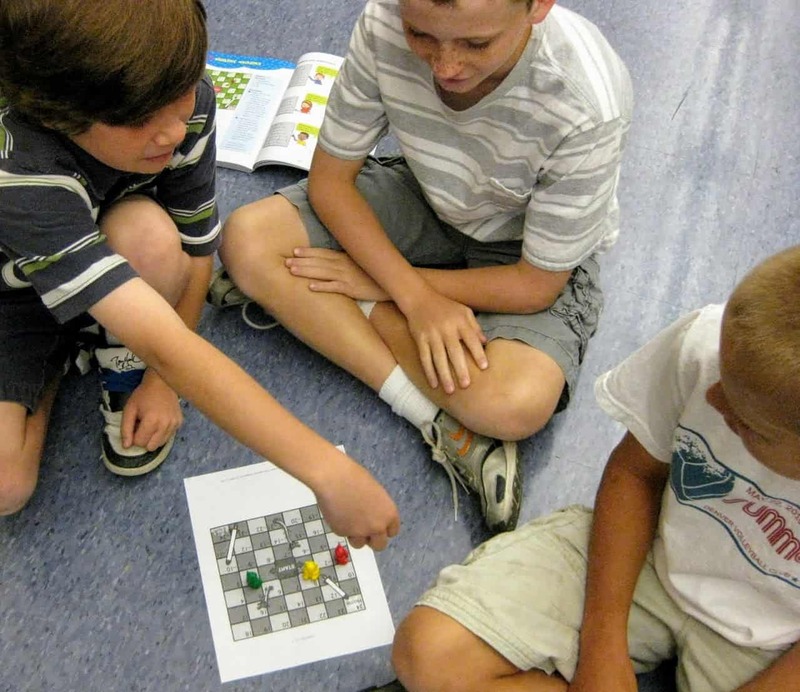 Descriptive: Students describe or explain a concept or mathematical vocabulary. Example: Use pictures, numbers and/or words to explain a polygon. Evaluative: Students argue for or against a strategy or solution to explain why they think an answer is right or wrong, explain their choice of strategies or justify the most efficient strategy. Example: Which of the strategies discussed in class today would you use to solve 245 – 97? Why? 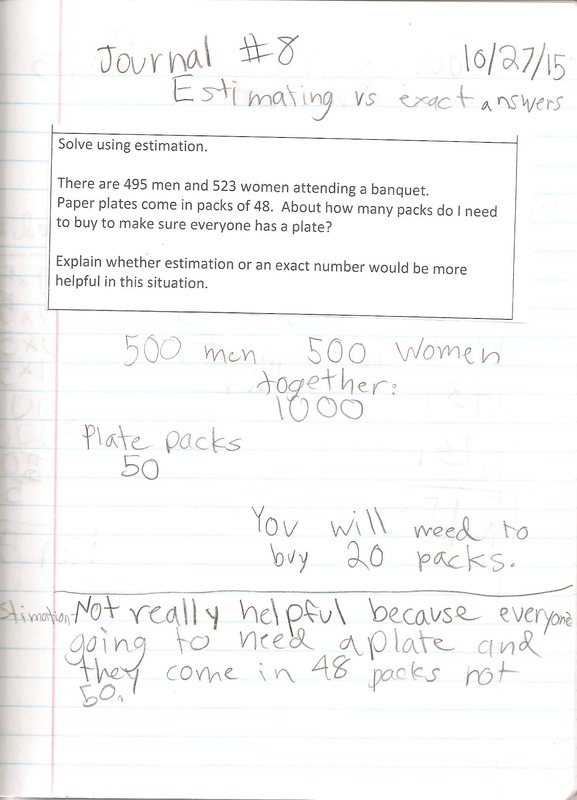 Creative: Students write their own word problem or create their own number puzzle. Example: The answer is 465 lbs. What’s the question? 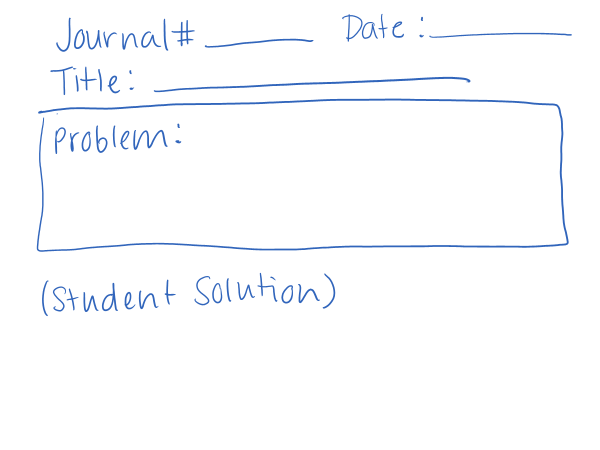 When should I ask students to make journal entries? Journaling can be a very effective tool to develop communication skills in your students. Depending on the type of entry, you could incorporate journaling into many parts of your math day. Open a class with an investigative entry to engage students. Consolidate learning and reflect on thinking with a mid-lesson descriptive or evaluative entry. Enrich students with a creative entry for early finishers of independent practice. The benefit of journaling for the teacher is it provides a concrete formative assessment. By evaluating student responses, you can determine their readiness to handle a new task and check for understanding of concepts. Student journals also provide a great launching point for discussion at parent-teacher conferences. Over the summer, we thought it would be fun to run some of the most popular posts from the past. When I re-read a post from the past I always take away something different because I am in a different place with my own experience. Perhaps you are as well! Working with schools, teachers, and parents over the last five years, I’m often asked whether cultural differences can explain why Singapore’s students have led the world in international math standings for 15 years while US students rank no better than mid-pack. When I visited Singapore in 2007, I learned how the country decided to focus on building strong Singaporean citizens beginning with their earliest education. The country’s mathematics curriculum (Primary Mathematics) was developed in the early 1980s with this goal in mind. At that time, Singapore’s students were mediocre at math. Within a few years after the launch of the second edition of Primary Mathematics, Singapore’s students topped the international TIMSS study. To me, it’s quite easy to attribute much of Singapore’s Math success to changes in how it approached education, including, most importantly, the new curriculum. Could Singapore’s culture have changed dramatically between 1984 (when Singapore’s students were ranked 16th of 26 in the Second International Science Study) and 1995 (when they ranked first in the TIMSS study)? This trend seems more recent; it’s also one which, remarkably, Singapore’s current Prime Minister wants to curtail (http://www.economist.com/node/21563354). A more subtle consideration concerns expectations; how do parents and teachers ask students to engage in schoolwork? Reporter Spiegel then chooses to NOT to choose between East and West. In this silence, though, I believe there is a teachable moment for those of us in the West. In training sessions with teachers, it is not uncommon to encounter resistance when I advise (insist) that teachers give students the opportunity to really work on math problems. This can be a difficult skill for teachers to learn. And if teachers are inclined to want to move their class along before giving students a chance to truly work the math, parents can worse. They are unaccustomed to and uncomfortable at seeing their children struggle, unable to finish their home enjoyment (aka homework). Parents sometimes can be too quick to either give their kids a pass (well, you have tried, haven’t you?) or demand an explanation of the teacher (why can’t my child do the homework?). Here’s where I find that it’s critical to have laid the groundwork and properly set expectations. Teachers need patience (whew, do teachers ever need patience!). They must let their students work through problems, even if they end up struggling and having to start over. And parents need to appreciate that homework (honestly completed or struggled with) can be the best feedback loop for teachers. Pointing at cultural differences to rationalize a lack of math proficiency in many of our students serves no one. Instead, I think there’s a lot to be gained by asking that western students work a bit more to earn some of the praise they frequently receive. Over the summer, we thought it would be fun to run some of the most popular posts from the past. All of these options are still on offer. Let us know if you have used one of these or something else to counteract the typical “summer brain drain”. When I re-read a post from the past I always take away something different because I am in a different place with my own experience. Perhaps you are as well! 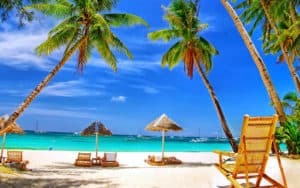 School is out and summer is calling, but for many teachers and administrators, summer is a time to take stock and plan and budget for next year. As a teacher, this is a glorious time of year, but also one of worry. I worry about my students. I worry about those who needed extra support throughout the year understanding and retaining math concepts. How will they fare next school year? Will they regress over the summer months if they don’t do any math work? those whose math confidence could use a boost. With a Singapore Math program, there aren’t many ready-made options to pick up at the local bookstore. Books that are available focus heavily on procedural understanding rather than underlying math concepts. So what’s a teacher to do? Aside from recommending tutoring, I have found a couple of options that seem to meet my needs as a teacher and the needs of my students. 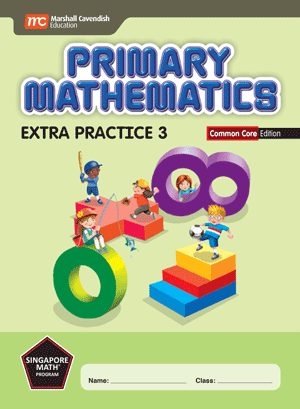 For those looking for a paper and pencil option, I recommend the Extra Practice books from Singapore Math’s Primary Mathematics series. Students should work at the grade level just completed (a rising 3rd-grade student should do summer work in the 2nd grade Extra Practice book). The Extra Practice books offer parents and/or tutors “Friendly Notes” at the beginning of each unit that explain how to re-teach concepts in a way that is familiar to the student. The notes are followed by practice pages that give parents sample problems appropriate for practicing the concepts and the student an option of working through problems independently. Best of all, they include an answer key in the back so parents can check work and students can re-work problems, if necessary. These books are written to cover a year’s worth of concepts; I am by no means suggesting that a child complete the entire book over the summer. Teachers recommending this book will need to tailor the tasks to meet each student’s needs. This can be as simple as highlighting the contents page to include units or pages that you would like the student to complete over the summer keeping those critical concepts in mind. Another option for summer work can be found in online programs. 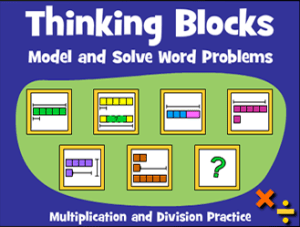 I have come across three online options for concept practice; Primary Math Digital, it’s twin Math Buddies and a program new to the US market, Matholia. Primary Math Digital (Free 15-day trial) and Math Buddies (Also a free trial) are backed by Singapore Math’s Primary Mathematics and Math in Focus series. Both offer students video tutorials that can be viewed by the student (and parent) an unlimited number of times. These videos are scaffolded to follow the pictorial and abstract progression of learning. Teachers can assign videos, practice and assessment tasks f or students to complete over the summer at their own pace. The practice pages can be a little challenging to navigate, but with some initial guidance, students should be able to complete the tasks independently. Both programs require the school to purchase annual student and/or teacher accounts to gain access to the library of lessons. There are Homeschool accounts available. Expect a price tag of around $30 per student depending on the number of accounts purchased. Another, more affordable option new to the US market is Matholia. Matholia was developed by two teachers from Singapore and has been used by teachers and students in Singapore as well as several other countries. This program also includes a library of video tutorials, practice and assessment tasks as well as fact fluency tasks and games. The videos are easy to understand and are also strategically scaffolded for student understanding. The practice and assessment tasks are intuitive and easy for students to navigate. As with the other programs, teachers can assign tasks for students to complete over the summer. Matholia also requires the school to purchase annual student accounts (teacher accounts are free) but is much more affordable at just $8 per student. I can’t go without saying that any of these options will give students practice, but struggling students need more than just extra practice working through math problems. They need more time in the concrete phase of learning using manipulatives; base-ten blocks, place value chips, model building with connecting cubes or paper strips, fraction strips or circles, etc. So, please, consider not only sending these students home with books and login IDs but also with a bag of manipulatives for hands-on learning and practice. 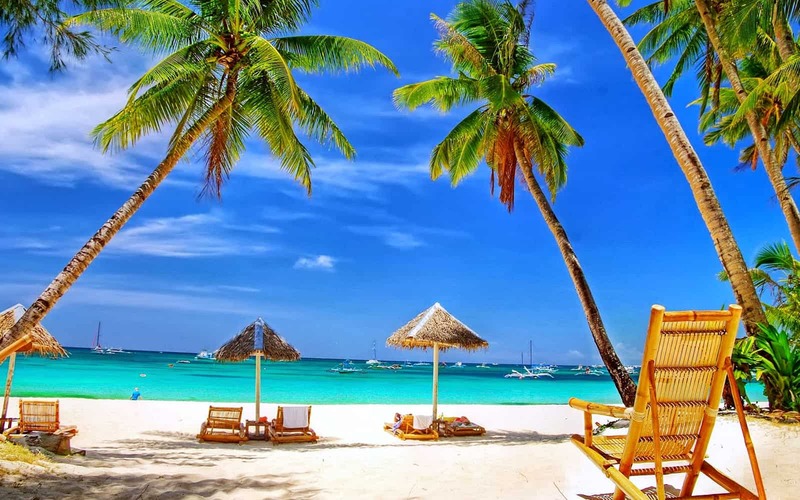 Now…back to dreams of lazy mornings and time to relax and recharge. Have a great summer and rest assured that your students will be prepared for the next grade with a little summer math work. The last few weeks of school can be a challenging time. You might find yourself rushing to finish projects, complete curriculum and bring closure to the school year. 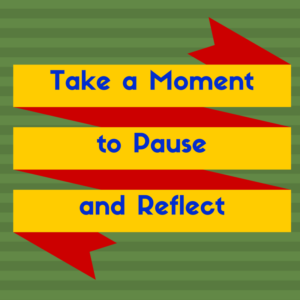 In the midst of all of this end-of-year frenzy, many will ask students to pause and think about all they have accomplished and what they still have to learn, as a means of self-reflection. Shouldn’t we ask the same of ourselves? 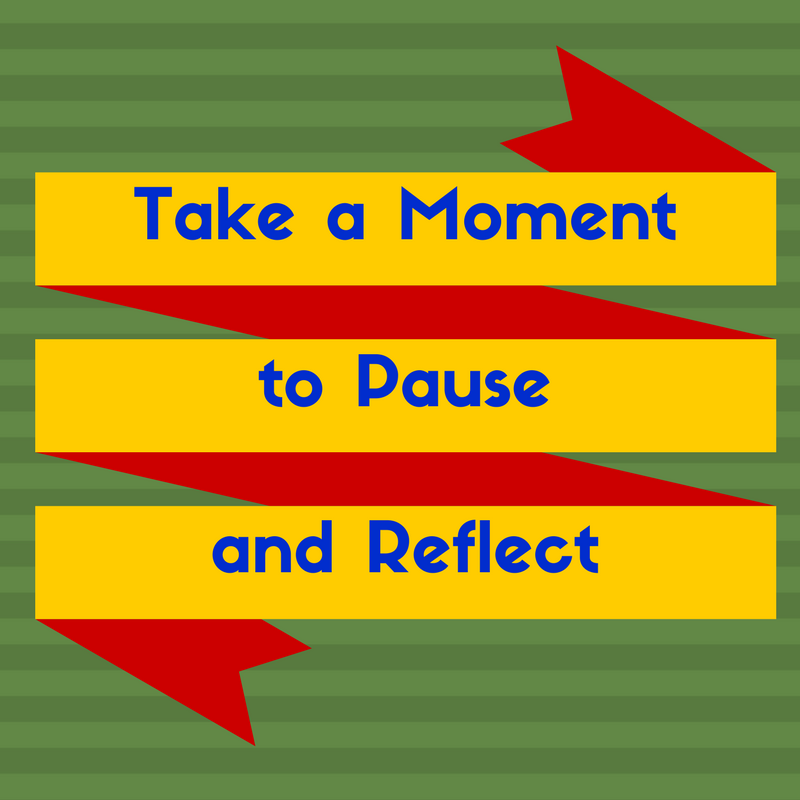 Wherever you may be in your Singapore Math journey, reflection can be a valuable tool for continuing to improve your practice. As you wrap up the year, take a moment to reflect on the following. Maybe a particular lesson or unit stands out to you as one in which your students made the most progress or you felt the most confident with your instruction. Maybe you were able to reach that struggling student by approaching the concept in a different way or for the first time in recent years, your students enjoyed math. At the close of one of my lessons, I recall a fourth-grade student asking me if all our math classes could be like this one. Her comment caused me to pause and think about what we had done that she found so engaging and fun and I made a point to model more lessons in that way. Think about how what you did made a difference and plan to do more of that in the upcoming year. Accepting your struggles and using them as a means to grow professionally, will strengthen your instruction and ultimately, improve your practice. Set a goal for next year. Did you try something new this year that you would like to incorporate in more of your lessons? 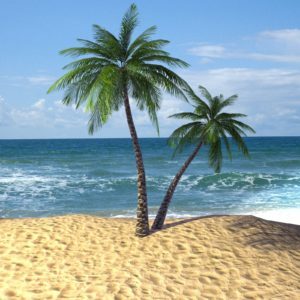 Is there an area within the content that you would like to improve your understanding and confidence? Do you have an idea about how to approach a concept differently? Take a moment to imagine what you want the year ahead to look like and set a goal to make it happen. As you pack up your room and head off into summer bliss, know that you will return to the new school year with an awareness of all that you gained by reflecting on your practice. 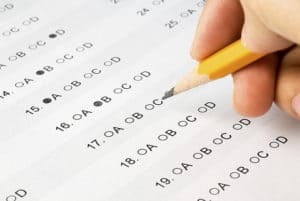 Test Prep: Is it really necessary? For many, Spring brings with it those two dreaded words: standardized tests. Whether your s chool is required to take PARCC, Smarter Balanced, state mandated standards-based tests or ERBs, you inevitably will want to make sure your students are prepared. Many teachers will plan to block out two to three weeks prior to the testing dates to review and teach content that may not have been covered, but is this interruption to instruction necessary? It’s estimated that students and teachers lose an average of 24 hours of instructional time each year administering and taking standardized tests. This doesn’t include time taken out of the instructional day for test prep so that number may even be quite higher. Q: But, I need to review to make sure my students remember concepts taught at the beginning of the year. A: Not if you have been teaching to mastery. Teaching math with a mastery-based program that is rich in problem-solving may all but eliminate the need for any test prep or review. If your students have a solid foundation in the basics and have practiced applying that knowledge to solving problems throughout the school year, then nothing a standardized test can throw at them should be unachievable. With a cohesive curriculum, where concepts build on each other, your students have essentially been revisiting concepts throughout the year. So, trust in what your students have learned and skip the review. Q: What about going over topics that I haven’t covered yet? A: How much success have you had cramming for an exam? If material is thrown at students for the sake of a test a few things can happen. Students won’t retain information. If students have not been given enough time to progress through the concrete-representational-abstract phases of learning, they will likely not be able to recall concepts or apply those concepts to the unfamiliar situations they might encounter on the standardized test. Students will be stressed out. They will feel the pressure (that unfortunately, you are likely feeling as well) to get a good score on the test. Learning becomes just something to do for a test. You will get false positive results. Have you ever had the teacher in the next grade up comment that students couldn’t remember a concept that you know you taught? Or, better yet, had test scores reflect learning, but students couldn’t perform at the next grade level? That can be a result of concepts being taught too quickly. So, rather than block out a few weeks to cram in topics that you haven’t covered, try integrating them into other areas of your day. Do some data analysis in morning meeting. Add some questions about telling time to your calendar activities. Play with measurement and geometry during recess (The weather is getting nice, right?). If you follow the sequence in your well-thought-out curriculum and teach some of those missing concepts after testing, it’s ok. Your students will experience those concepts in an order that makes sense and will be able to make connections, apply their thinking and master those concepts. That mastery will stay with them into the next year and will be reflected on upcoming standardized tests. After all, we don’t stop teaching after standardized tests. Well… that’s probably a topic for another post. photo courtesy of Alberto G.